As soon as I saw it, I went on their HP and found the advertisement. It’s available from March 30th it say, and at the bottom, in small letters, they say it's a limited time offer at participating locations. Since it's a limited time flavor like Ghost Pepper Wings, we went to try it today. 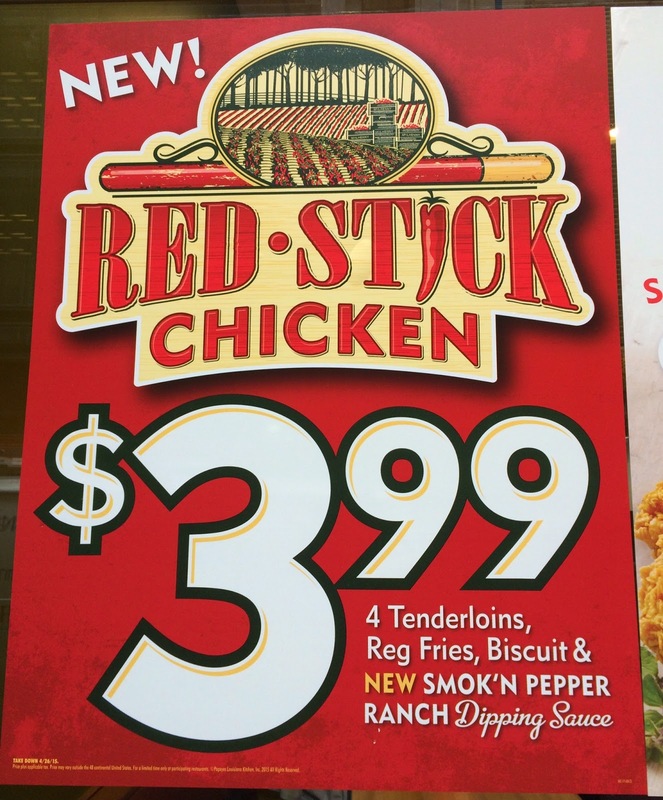 As the advertisement said 3.99 dollars, I thought it's the price for a combo, but actually it's NOT. It's for 4 tenderloins, regular fries, biscuit and smok'n pepper ranch dipping sauce. There're some explanations about Red Stick. 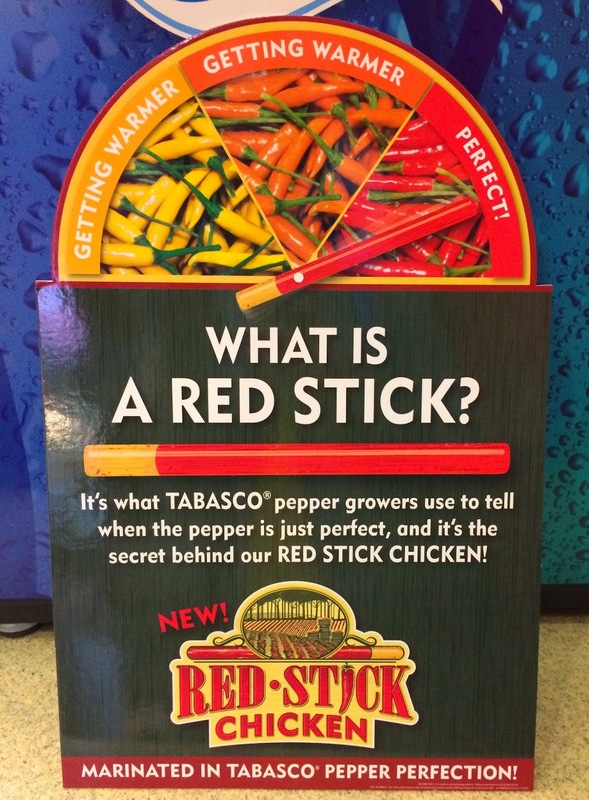 "It's what Tabasco pepper growers use to tell when the pepper is just perfect, and it's the secret behind our Red Stick Chicken!" 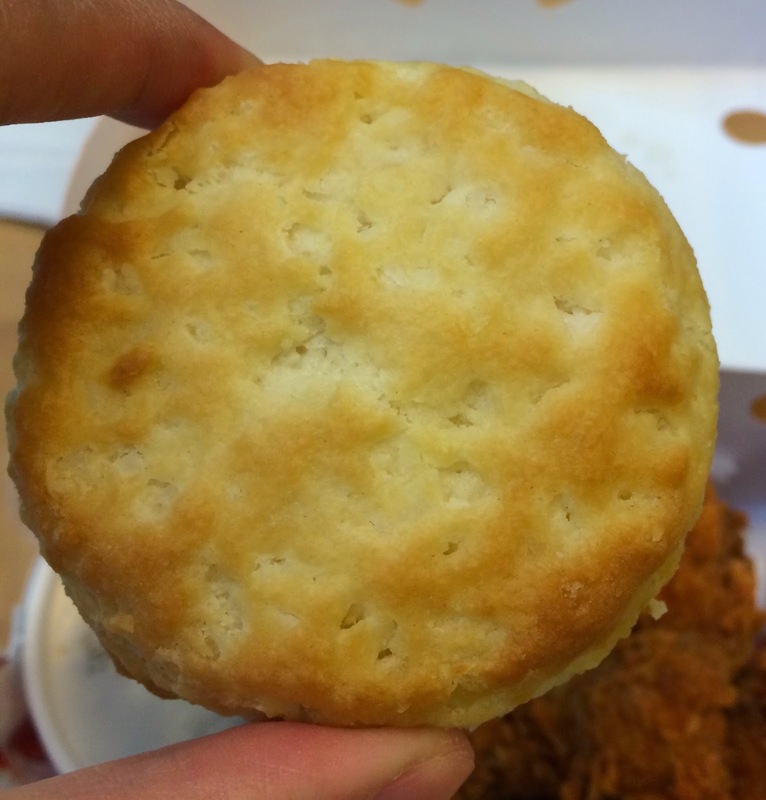 I was surprised to know that they use such a classic way to measure the perfection. Ghost Pepper Wings didn't do anything, which was sad, but this chicken is marinated in tabasco pepper to deliver spiciness.so I was really hoping Tabasco would make me wow. 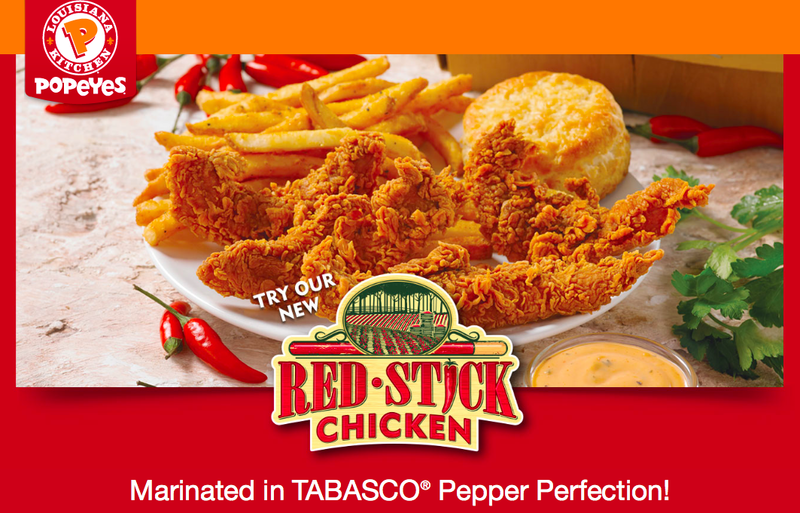 We got Red Stick Chicken Combo, and it came with 4 pieces of chicken tenderloin, a biscuit, regular soda, smok'n pepper ranch dipping sauce and a side (we chose cajun rice). 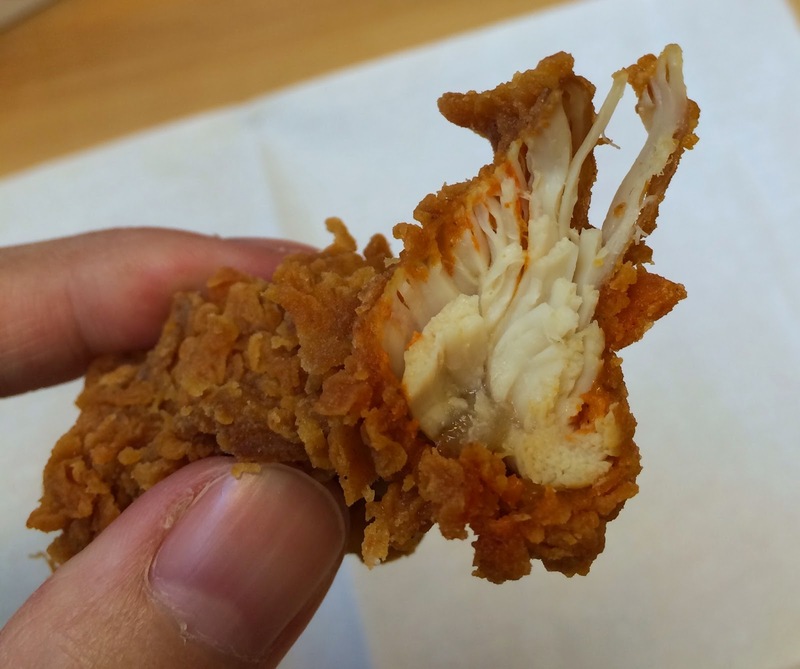 The breading looked exactly the same as Ghost Pepper Wings and Chicken Tender Combo, and I really like their crunchy and crispy breading, so I was pretty happy to eat. 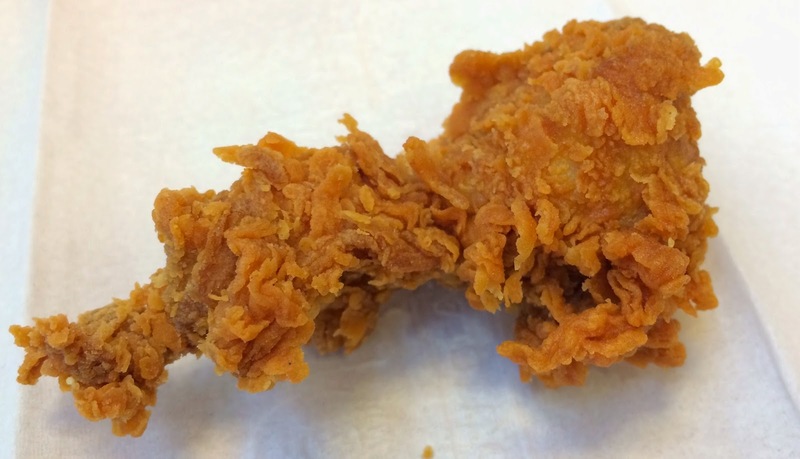 Underneath the crunchy breading, there's a juicy white meat, and the edge of the meat was red and we guessed it's the color of Tabasco. 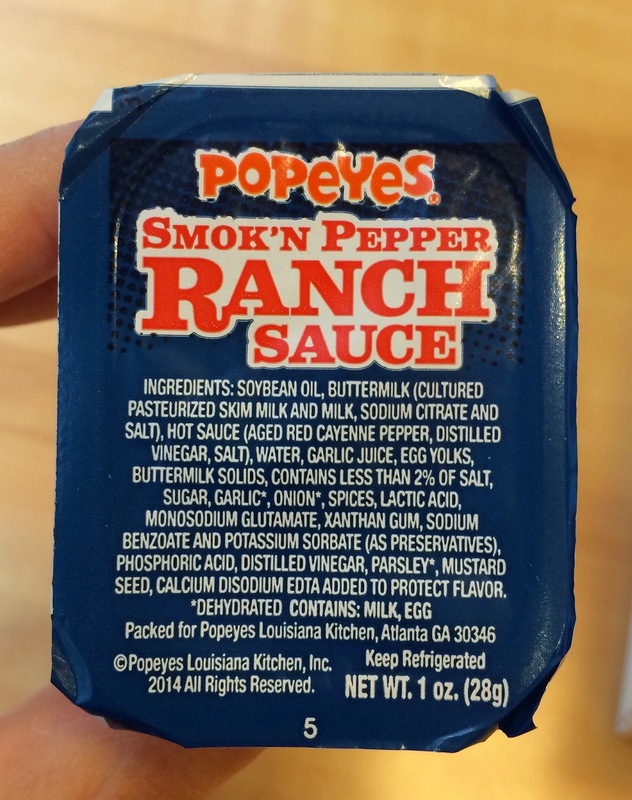 It sure had sour and subtle heat like Tabasco, but it didn't make me jump or sweat, and I was disappointed again. There're some chewy parts that were hard to bite off, and those gristles were very disgusting. Sadly, it had sour and smoky flavor and also mayonnaise-ish taste that I hate. 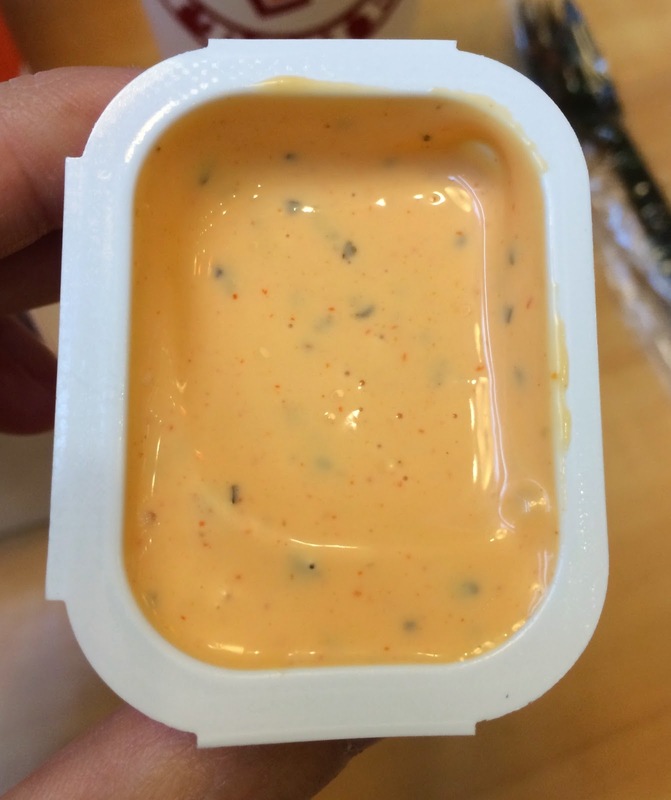 It also tasted similar to thousand island dressing. 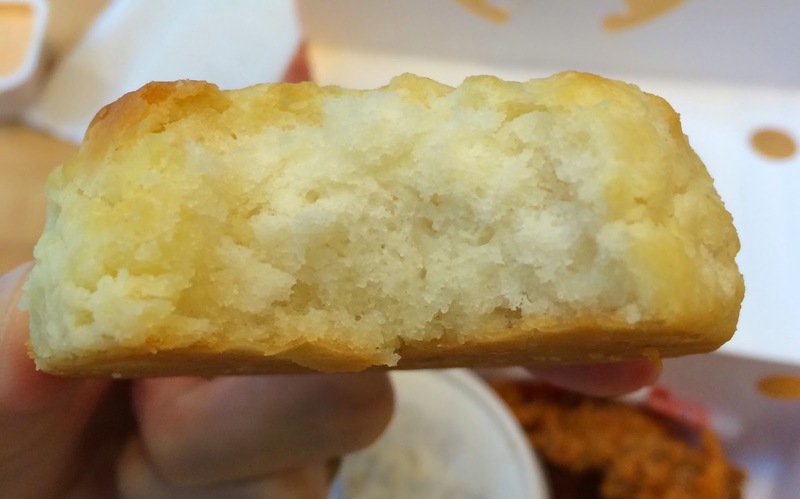 As salty as last time, but it had flaky and soft texture. 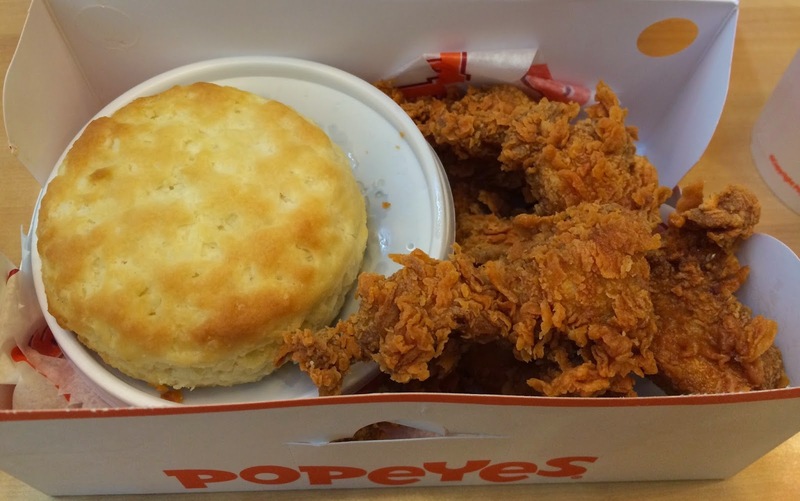 It's our first time to try this item, but it's hard to say we enjoyed it. 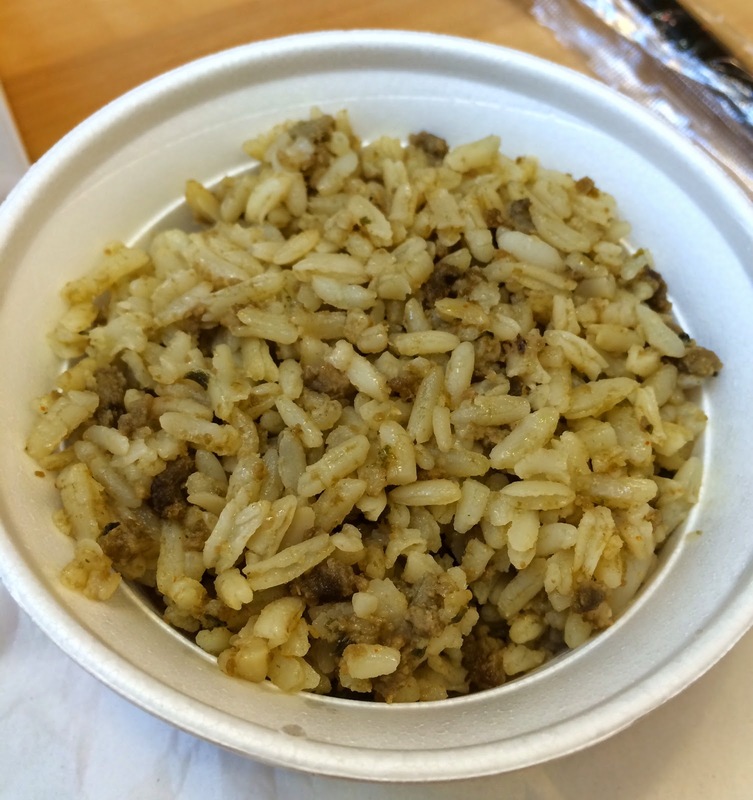 The rice was seasoned with spices and also had bitter spinach or other leafy taste, and there're itty-bitty bits of meat, that looked like dark meat but we couldn't tell what exactly they were. 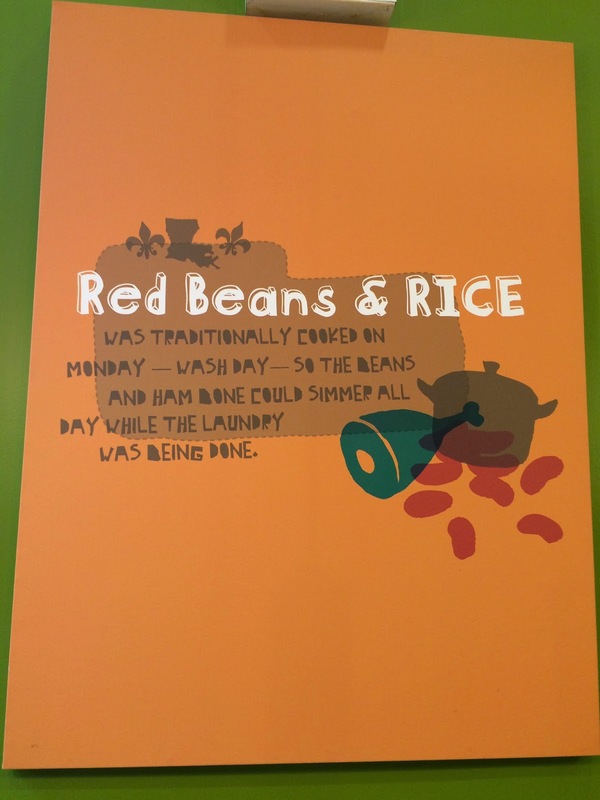 On the wall, there's a board about Red Beans & Rice, but the rice should be technically the same as Cajun Rice, and traditionally it's made with ham in the sentence, so I think the meat pieces weren't dark meat but possible pork. <-- because this board doesn't say this is what their recipe or HP doesn't say what kind of meat. As it's a fried chicken chain, I thought they'd not use pork since there's no other item using pork, like pork chop, so I wish the menu board says "PORK" so that we could have avoided if they use pork. 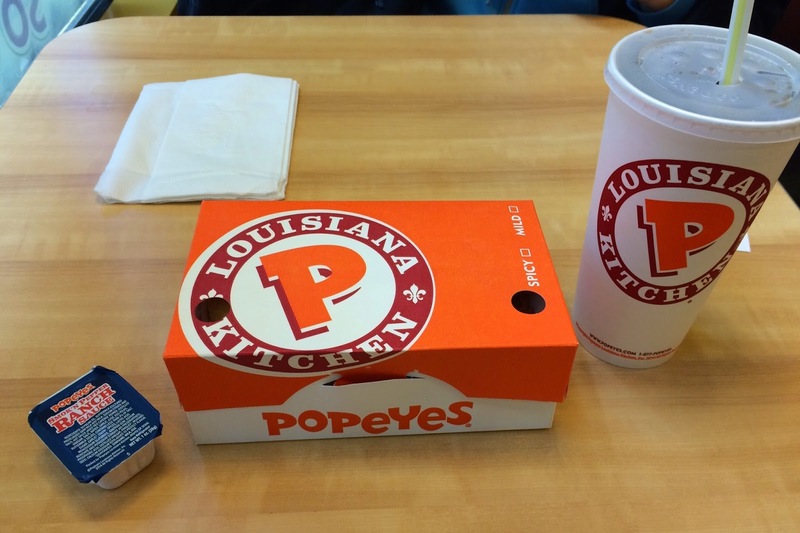 Other reviews of Popeyes Luisiana Kitchen.